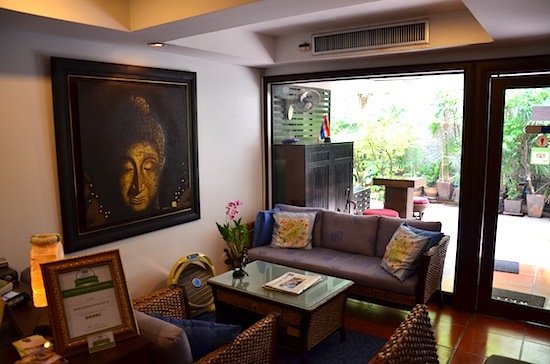 The personable owners of Baan Sukhumvit Inn run two small bed and breakfasts within a three-minute walk of one another. Both are set in nondescript shophouse-style structures at the corners of quiet side lanes, about a 10-minute walk from Asok BTS and Sukhumvit MRT stations. Because the two are so similar and so close together, we’ve combined them into a single listing. Ad Book now! Rates from US$49.81++. Average rating 8.2 from 113 reviews. Take a load off at Baan Soi 20. Baan Soi 20 is the original Baan Sukhumvit and remains a fine choice, with orange-tile-floor rooms that are smaller than the Baan Soi 18 editions but similarly comfy and clean. The cosy guesthouse has a lift to go with a ground-floor lounge and cafe where complimentary breakfast is served. Baan Soi 18 has a similar common space and also a small rooftop garden area. The staff members at both are known for their helpful service. In addition to being larger and with wider windows, the rooms at Baan Soi 18 are more attractively decorated with lai Thai woodcarvings, hardwood floors, rattan touches and sofas or pairs of wicker chairs. While that’s not to say that the Baan Soi 20 rooms are ugly, we felt that Baan Soi 18 is worth the extra cash. On the other hand, Baan Soi 20 was running a 200-baht discount when we last passed through, and it will certainly do the trick if you’re on a budget. At both properties, all rooms come with good-quality beds and linens, air-con, cable TVs with DVD selections available, mini-fridges, safes and free WiFi. Tasteful Buddhist art overlooks several tables and sofas in the relaxing common areas. Both are a short walk down their respective sois, each located in a quiet corner with a few massage shops and eateries nearby. Convenient to the skytrain and subway as well as Benchasiri Park, Terminal 21, Emporium and lots of nightlife, Sukhumvit sois 18 and 20 both have low-key atmospheres. Baan Soi 18 looks better from inside. 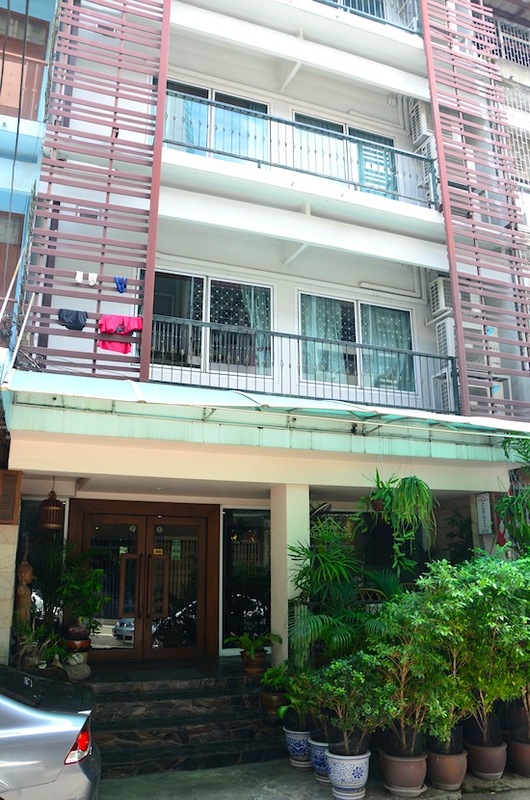 When making your way to Baan Soi 18, keep in mind that a nearby condo also goes by the name, Baan Sukhumvit 18, but is a completely separate property. The place you want is found at the end of the first side alley on the left after entering Soi 18 from Sukhumvit Road. To reach Baan Soi 20, take the first side alley on the right after entering Sukhumvit Soi 20, then a left, from where you’ll see the sign emerge from the back corner with a few potted trees out front. Sharing the same alley is Drop Inn, another solid small hotel with similar rooms and rates. Check rates at Baan Sukhumvit Inn on Booking.com. Where are you planning on heading to after Sukhumvit? Here are some spots commonly visited from here, or click here to see a full destination list for Thailand.